Yesterday, Zaheer from Rock gharana and Naina from Lakshya gharana got the golden keys and went into the third chakravyuh round.. The show begins with Kavitaji singing tumse milkar na jaane kyun, pyaar hua chupke se, kahe ched ched mohi. Aditya thanks Kavitaji for singing the beautiful songs..
Kavita says, I am really happy to be a part of this show and I am really enjoy it as well... Aditya announces that today all the contestants will be singing Kavitaji's songs.. The mentors are being welcomed by Aditya and after this, Khayyamji is welcomed as well. Jennice sings Hawa Hawaii from Mr. India.. Singer - Kavita Krishnamoorthy.. MD - Lakshmikant Pyaarelal..
Shankar asks Kavita to sing few lines.. Kavitaji sings and Shankar says, "Mogambo khush hua"..
Shankar - I was kind of disappointed.. It was totally Haywire.. You have to work hard on pitching..
Pritam - This was not the best performance.. There were no clarity in words.. You have been much better in your previous performances..
Aadesh - Your voice quality is definitely unique.. But what to do with voice quality when there is no singing.. Concentrate on that..
Himesh - You have a unique quality in your voice which suites certain type of songs.. That quality can make you reach heights.. Just follow what even these mentors have said..
Kavita - You should do a beautiful sangam between Indian and Western singing.. That will make a completely a new genre for you where you can do magic..
Tarun sings Saason ki mala pe simrun main... Singer - Kavita Krishnamoorthy. MD - Rajesh Roshan..
Aadesh - You have an originality in your voice..
Himesh - This is not one of your best performance.. Just do your best next time..
Pritam - You sing for god and I have always noted the connection with god in your voice.. But that was little less today..
Shankar - You have to do more breathing exersices.. You were loosing breathe often..
Kavitaji - This song has suited your voice.. This style suited your voice.. I loved it..
Khayyamji - All the guru's and Kavithaji have said it right.. You will be promising and great singer..
Prachi Shah sings kya tumne hain kehdiya.. Singer - Kavita Krishnamoorthy. MD - Zakir Hussain..
Debojit Dutta sings Tu hi re.. Singer - Kavita Krishnamoorthy and Hariharan.. MD - AR Rehman..
Shankar - Debojit, you sang well.. When you started of this song, I was afraid.. God is with you.. Prachi, you were little less in form.. Sur bahut chada hua thaa..
Aadesh - Debojit, I thought you sang only for god.. I will pray for you that you reach heights.. Prachi - Beginning se hi, sur chada hua thaa..
Debojit says, I have always been fan of Himesh's melodious compositions and would like to sing few lines.. he sings Tere dil ka mere dil se rishta purana hain... Himesh goes on stage and tells, he is a very emotional person and he will make others also emotional.. I pray from heart that you be the winner..
Pritam - Prachi, your performance standard has increased.. So, that is missing today.. Debojit, There is some connection with god and if you loose the connection.. Debojit promises Pritam that he will never loose the dillagi.. Himesh says, that Dillagi is basically purity.. You have a purity in you..
Aditya says, Debojit's parents have come and are sitting within the audience.. He asks how come he is so pure.. Debojit's father says. We dont know, but one thing we know that he can never tell lies.. His mother says, "This is just god's gift"..
Kavita shares an experience with us.. She says, her first song was a memorable experience.. She had to sing along with Latadi and after Latadi's part, she had to sing while kavitaji forgot that she had to sing.. Latadi removed her reading glasses and gave her a smile.. Hemantda was the music director and he asked what happened and Kavita said, she forgot to sing the lines.. It was a great experience..
Deepali sings Key sera sera.. Singer - Kavita and Shankar Mahadevan.. MD - AR Rehman..
Himesh - After hearing your song, Shankar, Kavitaji and other contestants song, I can just say onething - Saregama is amazing..
Shankar - You sang it beautifully.. Congratulations and god bless. Aadesh - The classical training has helped you a lot to sing such a difficult song..
Kavitaji - In Himeshji's style, Fantastic, fabulous, mindblowing, outstanding..
Shashi Suman sings sunta hain mera khuda.. Singers - Kavita and Udit Narayan.. MD - AR Rehman..
Himesh - I always say that he is a person with a quality of being a winner.. He is definitely in top three..
Pritam - There was a liveliness in the song.. You sang it very well..
Shankar - You were very inspired by Udit Narayan.. You sang it very well..
Aadesh Goes on stage and says, I do agree that you were inspired.. But I do believe that you will be the winner..
Kavita - You are a fine singer.. Whatever song you sing, there will always be an above average performance.. Among girls.. Deepali is In..
Jennice starts crying.. Kavita says.. Why are you loosing your confidence before itself?? She says, I have sacrificed a lot.. Saregamapa is very important to me.. Himesh says, "Mahagurus are always right and you have to accept their decision".. Kavita says - Till when you have the faith and confidence in god, you shouldn't loose heart.. There is always light in the end of the tunnel..
Kavitaji says, Do give a big round of applause for Prachi.. She has not let down a tear..
Pritam says.. This is a complete double standard that we are maintaining.. Today's performance of Jennice was completely out of sur.. One time we are saying that sur is important and the other time we concentrate on voice quality..
Himesh - I completely agree with you.. Maybe we should confirm that on what basis the whole decision was taken.. Let kavitaji confirm this for us so we all get a clear idea..
kavita - We have given points based on today's performance.. Based on which they have sung today.. Hawaa Hawaai, gave me some positivity.. The whole approach of the song was great..
Khayyamji - I didnt like the use of the word double standard ... Pritam says, he did not use that word for him... Shankar and Aadesh also support Pritam and say, its because of the discussion we have every week... Khayyamji says we are not criticizing their performance.. You better go and see the recorded part and you will know what mistake you have done.. Pritam asks apology though he didnt mean to say about the judgment of the Mahagurus, but he used this double standard for what they are discussing every week..
Himesh says, we had a decision based on sur last round and this round its overall performance thats more because of the point of views that change from a person to another..
Shashi is In... Decision for Tarun - It has become very difficult to judge especially among the boys... Khayyamji - We definitely dont want to say, who is out.. Debojit is In..
Tarun - I know that whatever guru says, is true.. Whatever you say, I will accept it.. Khayyam sahib also thinks you are a very good singer.. Moment of the day - Kavitaji singing Hawa Hawaaii. Please if I ever failed to update a post on a episode on time please you post them. Thanks for the review. It seems there were controversies galore yesterday. i agree Janice was better than prachi, but I guess she was taken for the glamour quotient. i don't se her in the finalists, though. betwen debo and tarun, it was a tough call. I would have gone for taun. But himesh jee is really too much. he keeps talking, and promotes his gharane contestants too much. This saturday a very touching tribute was given to Ishmeet in the dance programme on Star Plus "Aaja Mahi Ve" which is hosted by Vineet Singh and JJWSS winner Rahul Vaidya. A Sikh participant dedicated his dance performance to Ishmeet and said that he was a role model for him. Ronit Roy who is a judge on that show remarked that it was a loss for whole nation and not just Punjab. Even Bipasha who came as guest on the show became emotional and said she had met him and that he was a very kind boy. Rahul & Vineet even dedicated a song in his memory "Tum mujhe yun bhula na paoge". Today in Times of India it has been mentioned by the Government Hospital of Ludhiana that Ishmeet died due to drowning and not Head injury and they hv ruled out any kind of foul play in the incident. Hawa Hawai is such a difficult song that common singers ke bas ki baat hi nahin hai. She seemed to be reading the Mukhada instead of singing it. She was all over the song but not in the song. No wonder she started crying like a baby at the drop of the Hat. but just like most others, the element of Riyaz ...rather lack of it seems very much evident. Debojeet sings like a man possessed. Once he starts singing, he seems to lose control over his emotions and pitching. The delivery seems either too forcefully contrived or overdone in parts bits where the emphasis is wrongly placed. when he speaks certain consonents. I remarked about this before and I am again doing it here. Can someone check it out and say if Debojeet has thick and unclear pronunciations and a little lisp? Deepali with Que Sera Sera was not so forceful as the original. The delivery lacked that Punch. Shashi Suman almost looks like a Tragic Hero. His singing seems to be under the cloud of uncertainity. This fear seems to shadow his singing. I think he can be a very good singer if he opens up and has a positive frame of mind. I was slightly disappointed with his "Sunta Hai Mera Khuda"
Khayyam ji was the only one to see the hole in his armour when all the judges had praised him. Tarun has a very different type of voice which can be effectively cultivated like that of Kunal Ganjawala . The only thing that pulled him down seems to me is her total application and again lack of training and Riyaz. Prachi and Tarun thus lost to others with slight edge. In long run, I foresee most of the above getting eliminated except may be Debojeet and Shashi suman. Sorry for the wrong usage of the gender. WOW, You are back brother. Yes Debo is no doubt good.....very good. He has that thing in him to be great. But he needs a lot of polishing. He is like a colt yet to be broken properly. Sunvinder is THE GUY I would be rooting for.He seems at ease in any situation. A final between Sunvinder the Chalu Sardar, Debojeet and Mitika would be a Great event. Top three they are as per my feelings. I know there are many claiments to the crown but I 'd love these three to reach the final top three. Sorry I forgot to corroborate your finding that Bengal seems to have become the singers factory. True. Just look at the lineup of singers in SVOIC. Bombay , Jarkhand,Far east, Orissa are the states having given Bengali singers. Wahan ki Maati mein Kuchh to Zaroor hai. Or is it because of HILISH or Hilsa Maachh ?? Jo bhi Ho....They are all much better than most. But the leader , undoubtedly , is our own Anweshaa. It's nice to see you here bro. Hope to hear from you everyday. I appreciate your extreme feelings for Ishmeet with so many respects but why don't you think about the living ones like the boy SHAHRIAR SHIHAB whom I mentioned in this blog. Don't you think from heaven, Ishmeet will be more happy if you help or do something for Shihab or people like him!! Wow, am REALLY happy you are back. missed you on previous blog also.You are right, Debojit is a good singer but as hemant da said he does become sort of posessed. As a singer he reminds me somewhat of Toshi, who seems to be in another world when he sings. But debu da needs to be careful just as toshi often lost the basic requirements of sur, so does debu. passion is good, but it must work hand in hand with sur and taal. You are right, despite being a bengali i am tired of SO many singers from Bengal. Its quality and not quantity that should matter here. if we have singers like Anwesha, Aneek no-one will complain. however run of the mill singers are also coming in like mallar from VOI-2. is he the best that could have been found from west bengal? Surely not. Even that sanchita is becoming too precocious and concentarting more on looks than singing. I have to say in tersm of quality singing Anwesha is heads and shoulders above rest. Aneek, anamika, Monali thakur, debojit, anamika are also at a high level. But quality is getting diluted with likes of mallar and Debojit dutta. Arey bhai, sab Nyayadhish log Chha Gaye hain aur woh rarified atmosphere mein vicharan kar rahe hain. To honor you the stretched images of the 4 judges are removed from the main page. How does it looks now! I watched the 9th episode today and I did not like Prachi's elimination. I have lot of respect for Kavitha Krishnamoorthy and I respect her decision though. But, really I am not fully convinced about the reason of Prachi being eliminated. Jenice Sobti was okay with 9th performance and Prachi was comparatively little behind. The judges told that the decision was made on the base of 9th episode performance. But, in the previous day, the judges considered two day's performances. I think if you take Prachi's 8th performance, its much much better than Jenice. I somewhat do agree with Pritam when he mentioned the words "double standard". I don't know why he backed out. Himesh cleverly had Jenice sing Shakira's "Forever..." which might have influenced the judges. But, I still believe that Prachi was much better than Jenice. Anyway, the boys selection was expected. Debojit was superb in "Tuhi re". I agree with Neelakshi that he gets carried away like Toshi but personally I feel that he is better singer than Toshi (though he is little hyped by Himesh) and I expect lot from him. @Antar - thanks for your detailed commentary. It was excellent buddy. Please also pray for him. That will be one of the nicest gift I will ever have in my life. Agree about sardarni-her name is mitika! yeah, she rocks! In fact, she has that perfectionist streak- was a topper in college also as was said. I visited your website and was mesmerised by your devotion to Bala Saraswati Anweshaa. From now on, I will be visiting regularly. I find that some episode videos are missing. Annu did not sing on those days ? Congratulations to Abhinav Bindra on winning the first ever Olympic Gold Medal for India. I rejoice with you for Bindra who won the first Gold Medal for India. Congratulation to all of you for Abhinav Bindra's winning on Olympic. I also requested you all to post atleast a comment for Shihab at anangelsstory.blogspot.com Can't we just post a comment to inspire & encourage that young angel including his parents. Please just wish him to get well soon. I know cancer better than most of you who are around. My family has lost five people to this dreaded monster. One of my youngest cousin brother is now fighting for his life having fought this monster for last three years. Yet we have not lost our will . We will fight on. I am re posting a poem posted by the parent of a small boy who was fighting cancer. I am also posting on behalf of all the bloggers here our little prayer for the precious little boy Shihab. Thanks Lorna Mahan for such an inspiring poem. Last year Aneek was the trump card of Himesh and this year it's almost seems like Debojeet to me. I am 100% agree with Neelakshi & Siddhatha that Debojeet is hyped by Himesh but just can't agree yet he is better singer than Toshi. Despite Toshi's continuous bad performances in JJWS how can we forget the way he performed in SVOI 1. Last year he was one of the main attraction for the SVOI team and he proved he was a very tough contestant. But Debojeet still has to prove that. At 8th episode he just screwed the song Alvida which originally sang by James & K.K. Still he has to prove a lot. To me this year Shashi will be one of the toughest contestant and may reach to the Grand Finale with the other two. He is awsum. The difference is that Debojit does not belong to Himesh's gharana but still Himesh is hyping him. Why....? there is something fishy here. I think the Bengali lobby in Zee is too strong. ever since public voting was introduced in saregama, all winners in senior and junior editions were Bengalis- Aneek, Debojeet(senior) and Anamika, sanchita(junior). This may be a co-incidence, but especially Debo was not deserving at that time. I think Aneek and Anamika were both deserving, sanchita had tough competition in Abhrokanti(who is alos a bengali) Even in ek se badhkar ek saynatani Ghosh the Bengali dancer and TV actress gets all the hype(though no doubt she is excellent). Anyway I garee with antar that Toshi was good in SVOI-1. But not the best. the best were Abaaas, Arshpreet and Irfan(in every way). In chote ustaad the best was Anwesha. But neither Abhaas or Anwesha won, though if you people have noticed both of them are given ample oppurtunities AFTER the shows to prove their talent. You are the first one except me to post a comment for Shihab. You know for that I am so much happy even if I ever can do anythig for you I will do that without any hesitation. Today you & Hemant Da proved that still humanism exists. I will be very glad if you post your comment on Shihab on the blog dedicated on Shihab. Thanks & I will never forget these. I have put my comments on Shihab's blog as per your wishes. Inshallah, May the boy recover soonest. Came across this Violin version of "Ami Je Tomar" rendered by a karnatic artist. I loved this truely solo playing. Thanks to Anweshaa for immortalizing this song. Even two weeks after 19-year old singer, Ishmeet Singh passed away, his friends cannot get over the talented Amul Star Voice of India winner. Shweta Subramanaim, an Indian Canadian playback singer, who made an appearance in Voice of India, knew Ishmeet closely before he drowned in the Maldives. sadly, my dear friend Ishmeet is no longer amongst us. Every day I sleep by pacifying myself that he could not have asked for a safer abode than going back to God. Ishmeet was a simple and modest person with huge dreams to become a playback singer. He always told me that he did this for his family and himself. When I met him during the training sessions at Voice of India, he was very quiet and kept to himself. He was unlike other contestants, who would play pranks and crack jokes. Ishmeet always kept his focus on music. But he cherished his few close friends like Karishma, Bhanu, Priyani and me.The first song that I remember him singing was Chand Sifarish (Fanaa) He was a huge fan of Shaan which was evident from the songs he selected for the competition. I remember how he was feeling unusually low one day. I asked him what was wrong, and he said 'Mummy papa ki bahut yaad aa rahi hai aur mujhe pataa nahi hai ki main is competition mein kahaan tak pahchoonga. [I miss my parents, and I'm not sure how far I will reach in this competition]. He told me that he put his education on hold and rebelled against his parents' wishes to be part of this competition. Becoming an established singer was his dream and music meant everything to him -- winning Voice of India meant everything to him. And he was very determined. During the finale, the whole country was caught between the singing sensations from Uttar Pradesh and Punjab. I remember Ishmeet telling me that his family and the whole of Punjab did everything possible to make sure that he won the title.Voting stalls with huge banners with Ishmeet's photograph were put in front of gurudwaras and even rikshawallahs with a cell phone was encouraged to vote for Ishmeet. I was keen to see whether fame and adulation would steal the friendship Ishmeet and I shared. Obviously, after winning the title, Ishmeet got swamped with shows and projects and it was almost impossible to get a hold of him. That was certainly an ice-breaker. We started talking again, refreshing our Voice of India memories and the way our lives changed since then. As we were talking, I asked Ishmeet where in Mumbai he was staying. To my surprise, he lived in the same complex as me! I still remember that phone call. We couldn't stop laughing about how we had no clue that both of us lived in the same complex and never ran into each other. As soon as we realised how close we were, we ran out of our respective apartments and met up. We had so much to catch up on. Ishmeet proved his friendship to me in many different ways. I once asked him to sing for a wedding reception and he happily came over. He even posed for photographs with the guests, and signed autographs. I will always cherish the dinners we had together, the walks along Juhu beach, our endless conversations about his family, his passion for music...He was a gem. It is so wonderful of you to post this heart warming story from Shweta. Ishmeet, as we all know, was a true friend of all. I would always cherish his smiling face and calm voice. But life has to go on and change itself means life . Let us face the fact that he is no more with us.God wanted him more than we, the people needed him. So He took him for Himself. We have anothe young boy from his town Ludhiana in the form of Sunvinder Singh with very dear voice and smiling face. Let us look for Ishmeet in him and console ourselves. I also strongly urge you to look ahead. Hope that you will do accordingly. There is talk of a haematoma on temporal region and a linear cut.Haematoma is a collection of blood in tissues under the skin or an internal organ due to injury to the tissue or organs. this cannot occur in a pool. this can happen due to a hit by a blunt instrument and being unconscious when he was thrown in the pool. Thanks for all of your wonderful comments on Shihab. I will always remember that. I also told earlier, Ishmeet's death is not only an simple accident but something else. It's a normal sense, why there wasn't a single person near to that swimming pool at that time! If he fall in the water accidentally he was definitely shouting and no one heard that I just can't believe it. The only possibility arise if someone killed him and threw him in the water. Just my guess. I have not heard a full episode of this years Saregama Pa .. so it is not fair on my part to comment on somebody's songs. But, sadly what I can say is that so far as Saibaba films is concerned, the best never wins. Abhas did not win, Annu did not win, Akbar in Junoon, whom Lataji speaks so highly about will not win, thanks to extraneous factors that we should not discuss here. Saregama to me last yr was much better as it had Aneek, Raja, Poonam and Amanat all stupendous singers in the t4. What will happen this time I don't know. If it the same where the best in the field make the t4 line up, then from now on stick to Zee shows and forget about Gaj's drama. Welcome to this blog. Thanks to express your thoughts in this blog and hope to get more. Without a doubt, last year SaReGaMaPa was superb on the basis of contestants but this year it's not to bad either as there are some excellent contestants also. Compare to that Gaj's SVOI 2 is simply worst in every level which last year was just excellent. Thanks for accepting my invitation to join the bloggers here. I totally agree with you about Saibaba tele film policy. It is only after people raised serious questions about her relationship with ARA that ARA declared that it is now decided by him that Antara will be sent packing if his group comes last. I also am sad to see Kalpana who is more versatile than Malini coming poor 6th or so. Gajji ke Raj mein Ghode Ghas Khate hain aur Gadhe Gud Khate hain. As a protest to his treatment meated out to Anweshaa that I am not discussing SVOIC anymore. I will stick to SaReGaMaPa only. You took the correct decision brother. Welcome once again to our blog. I have invited a highly talented lady and equally highly talented Kid Girl to participate in our blog. The lady is an old friend who was invited by Zee telefilms to participate as a contestant in recently held contest in USA where Deepa Menon of Detroit won. This lady could not make it to Dallas due to other work. We may be soon hearing from her. The young girl in question is a 15 year old kid who is into serious music from young age. Presently she is occupied but will soon participate. This our aim to achieve very knowledgable participation seems to be getting fulfilled. I am looking forward to goofy with more punches soon. Thats wonderful. We are waiting for them. I agree gajji has been unfair...EVen in challnege 2005 Nihira should have won. I am sure Nihira, Abhas and Annu are the best and gajji knows that. yet he allowed public voting to take away from desired results. But this year in VOI-2 there is 50% public voting and 50% judges commenst. I know that was format in chgote utsaad, still annu did not win. so I don't know how fair it is. Thsi year in VOI-2 Rritisha padmanbh deserves to win. I am sure that again deserving will not win. in zee,its a diff ball game altogether. So far only naina seems to have that perfectiona nd excellence, maybe pratibha also. Shayon and mitika and shujat,shashi are all good, but they are not all-rounders. Neelakshi - you forgot Hemachandra? I sincerely believe that he was the deserving winner in 2005. Nihira would be joint best. Then Debojit and Vineet. I dont wanna start a discussion on Ishmeet's mysterious death but will like to make the following observations. The link given by Neel does raise some doubts, but i am sure about one thing, nothing will come through. Just see the Aarushi case, even after such thorough investigation we still dont know the exact truth. The incident with Ishmeet happened in far-off maldives. So things become even more difficult. Plus I just cant think that little boy Vyom could be involved in any kind of foul play. I hope CBI takes up the case to find some definite conclusions which could satisfy Ishmeet's grieving parents. I am quite at peace with my self and I hv got over ishmeet's unfortunate death, but though he is no more with us we can remember him sometimes to let him remain alive in our hearts. Hemchandra and Nihira were and are very good singers. Hemu has a voice that's more suitable for southern macho actors. Karunya was another boy who had a wonderful voice. Hemchandra is a good friend of my cousin sister and so is Nihira. That reminds me that I should ask my sister to blog here. I am happy with your stance. Ritisha certainly deserves to win this time, but as i have said earlier I am not very sure how many people in Karnataka watch Star plus. As ppl in southern states like to watch their regional channels. Infact Star Plus, Sony & Zee which are paid channels in delhi, mumbai & Kolkatta are free to air down south. 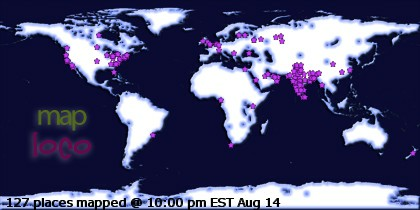 This proves their low viewership in this region. So given these facts i dont think Ritisha will be able to manage much votes from her home state. Thank God Ritisha is safe. all the performances of Junoon on 9th of August are in youtube. I commend Rahat Saab for speaking out and saying it is not possible for a aam singer to appreciate what akbar ali sings. This was in response to ARA's comments at the end of Akbar Ali's performance. I was reading in a blog that none of the singers in SVOI2 give people goosebumps. May be this is what Gajj deserves. If he keeps on using great singers like Annu, Abhas, Akbar and Ali Abbas of Junoon for TRP's, have little kids like Prakriti humiliated in public, then sooner or later gifted singers will steer clear of him. Ritihsa deserves support across regions...all said and done, i do agree with you that regional votes constitute a major portion of votes for any candidate. That is sad, becaue in American idol the contestants get pan-american votes. But we cannot ignore the differences in the indian context, our social fabric is completely different from U.S.A.'s and some of our states hardly are represented in mainstream, eg the ones in north-east. So I think Sreeparna and Rohit sonar will get a lot of votes from north-east, just lie Debu, anamika got from Assam and Prakrit, prashant got from Darjeeling. Then there are communities like Punjabis and Gujaratis who are rich and can afford to send many votes. Bengalis and marathis, despite having a very musical audience, cannot get so many votes again its an economic issue here. But we did have some good south indian singers like Karunya, hemachandra and now ritisha. We need many more. Even in east people don't speak Hindi but they are more connected to the mainstream Bollywood songs and movies. So i wonder why south isn't...? i def. agree with you, Nihira and Hemu should have been joint winners.They did manage to come to top 5 but in the end again north and east voted fiercely whilst south didn't for Hmeu. At that time frankly i didn't much connect with Debu's singing. i even preferred Vinit and Himani to him. please get your cousin to blog here. it will be wonderful to have her here. My cousin is off the circuit for some time due to some pre occupation. She will blog soon. Today I am very much happy as I talked with the little angel "SHIHAB" for the first time. You know he read all of your comments and he is very much glad for that. He is now doing well for all of your prayers and supports. He is now being an icon here. So don't forget to taking care of him and post him time to time. I am not too much shocked to hear about Mallal's elimination. As because most of the contestants of SVOI 2 are category "D" singers (Not even C) except 2 or 3 and Mallar belongs to "D". So his elimination didn't effect on me. Among the very few talented ones Ritisha is one of them. But as we always know, Gajji always love to play dirty games and according to his nature he will never crown the best contestant among all. I still believe, this year Gajji will also crown a male contestant instead of a talented female contestant. Hope to see a changing in this format and result. Sorry to say that I still didn't watch a single episode of Junoon. But, per too many discussions on this show already made I am very much inspired and curious to see this show from now on. Just tell me at which channel it shows. Please visit the following URL and start from the beginning. I am sure you will become a fan of atleast three contestants. Kalpana is an Assamese girl who sings folk of UP, Bihar and Assam better than Malini. Watch out for Pakistani singers. They are amazing. I heard Aabhaas in last episode. He overdid his Murkis and spoiled the song. I have given you the link to archives so that you can see all the episodes from the beginning. when did gajj "crown" a talented female singer. also we better not discuss what gajj does with his winner/runner up after the show in the name of making them sign contracts. this man deserves c and d grade singers.. and then and only then will his dramabaazi stop.. or else people will say no to gajji shows but end up watching his shows as they barring SVOI2 always have some great voices like Annu, Jayant, Nihira, Akbar Ali, Ali Abbas, Kalpana whom Gajj will use to raise his shows TRP ratings and crown somebody else. Saibaba Telefilms reportadly binds contestants into a two year contract. The contestants whether they win or lose, have to be bonded for two years. They cannot sing for any other programme in these two years except if it is promoted/produced by Gajji. If any contestant wants to participate in a programme, he/she is required to get permission from Gajji. Organisers of such programmes have to pay a hefty fees to Saibaba telefilms. If any music director wants to sign up a contestant, he has to shell out a hefty sum running into five figure fees for Saibaba. 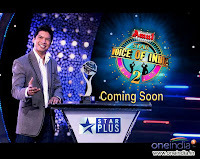 The contestants have to report at his call for any promotional programme. I do not know if they are paid to do so or not but they virtually become bonded labourers. And Gajji tom toms that he has given to India singers like Sonu, Shreya, Sunidhi, Kunal etc. I only came to know of sketchy details from third hand or fourth hand sources . If they are true, , then it is exploitation of the worst kind. The contestants are treated like A COW OF MASAI in Africa. If you want to know what is a Masai's cow, then I will tell you what it is. The Masai Tribe of Kenya live off cows. They do not eat flesh of the cow but they drink blood of the cow. They open a vein in the neck region of the cow and drain cupfulls of blood and drink it on rocks. They seal the wound immediately. The cow is ready to give blood in a week or so and Masai is ready with his blade. If it is true, then I would say that this is the EXPLOITATION of the worst kind. The whole format of VOI 2 was wrong of selecting 1 person from each state. As a result genuine talent could not come up. For example there might have been more than one good singers in states like U.P, M.P. & Punjab, but all that genuine talent stands crushed this year as a result of this strange format of gajji. I think Mr Gaj dosent hv good advisers. Somebody is misleading him to take wrong decisions.Or maybe by starting too many shows at the same time he has lost focus and is just trying to do things differently. In the process he is spoling his show. But then Anwesha is at a distinct diadvanatge as she was under gajji...hardly any poeple will sign her. This gajji is mad. That means he is still controlling the contracts of Nihira, Debu, himnai, vinit and hemachandra? Thse were top 5 in challnege 2005...also it seems he is till ocntrolling careers of Sacnhita, Abhrokanti from his earlier little champs. And waht to say about the VOI-1 and chote utsaad contestants? Gajji has kept them all in such a way that they only get to do shows here and there. What will happen to Abhaas, Anwesha, Irfan, Arshpreet,geetashri, jayant, areeb, toshi, abhilasha etc.? their careers will be ruined- such talnted ones all of them. Gajji made sure that the first season contestants of VOI and challenge 2005 particpated in JJWS, but none of them won. Instead undeserving rahul vaidya did. So much for gajji. Abhijeet, Debojit and late Ishmeet will alays be the first winners. But gaji has done nothing much for Debu's career or even Hrashit and aishwarya(his favourites) I guess Vinit was his fave in challenge 2005. But except for Ash, they all became runners-ups. Ash is gajji's first favourite who has won(I don't know who his fave in first edition of little champs was) and yet he made Annu sing title track of Waar parivaar. What was so special about majmudar that gajji sacrificed votes(prakriti) to make her the winner? By his earlier logic, he would have kept Aishwarya and Prakriti in final 2. But realizing to eliminate Annu at 3'rd position would be sacrilegous he made 50% voting in judges' hands. Are we free from fear ? Are we free from slavery? We are under dark fear of terorism. We are slaves to individual economic downfall brought about by few industrialists and industrial nations. Morally we are at the nadir of morality. It is only that collectively our nation has progressed by sheer hard work of poor masses who are like Ants ...always industrious. This independence should we awarded to them. I salute common man of India, who stands between total downfall and progress. I salute brain power of our young boys and girls who have become the nerve centre of world computing power. I salute poor farmers who, no matter what happens, still he is ready to till the earth. I salute women of India who bear the brunt of insecurity, injustice and inequality and still they go on and on. I would rejoice for Independence when I see smiles on their faces. I think the contestants are bound by contract to the channel and not the producer of the show. A VULTURE NEVER FEEDS ALONE. Welcome to the blog & waiting to hear from you more. Without a doubt you are absolutely right. But what the contestants can do as they all want fames. What you said is 100% correct. But to know "When did Gajj crown a talented female singer" we have to experiment on his brain just like Einstein's. Thanks a lot. I will definitely watch but just tell me at which channel this program shows. You are right about this year's VOI 2 format. But the reality is not somebody but Gajji himself misleading him to take wrong decisions. Its too early to rank the 2008 contestants, especially as in saregaam finaliss haven't beecn hsoen and indian idol 4 hasn't even started. So my list will include contestants of VOI-1, saregama 2007, Indian idol 3 and some exceptional kids of chote ustaad who manage to make their names register along with the 'BIG' names. which poem you are refering to? If you mean the one I posted about Cancer , then it is not my poem. I have already acknowledged the lady who wrote it. You may give her credit whenever you post it. I might have posted my poem about India Pakistan called DEEWAR some time back. If you are refering to that, you may post it. Have you heard Poonam recently? My God !!! She has lost control over sur and breath both. Plus she lackes total application. I saw her in Ek Se Badhkar Ek and was shocked by her singing. I would elevate Arshprit to 2nd position and Include Anamika in the list.I would also add Karunya in male list. I have to make a list of 10 so I put there names. lol. Ok, be serious,according to me CHANG was just one of the best in Indian Idol 3. I can never forget the way he performed the song "MAHI VE" and "OM SHANTI OM". Specially MAHI VE was simply one of the best performance performed by Chang compared to any individual. How can we forget the judges reactions including the special guest Sonu Nigam after this mind blowing performance. Sumitra-how can we forget all of her performances especially on "HAREY RAMA HAREY KRISHNA", "MAURNI", "MAST", "BIDI JALAILE" and many more. All of them were rocking performances. MAULI's 2 or 3 performances were absolutely great especially the "Shaka Laka" & "Dekhle" performances were excellent. Thats why I mentioned her name in the list. First of all a "jai hind" to all and a special congratulation to my brother antar for this blog..
this year sa re ga ma pa is far above of SVOI-2,i have just started watching this program and will soon comment on all the contestants.this show has its unique appeal and a super packaging(coz it has no GAJ)..
for your kind information star do not have any agreement with any contestants.it is sai baba telefilms who makes all these agreements. Thanks a lot and welcome to this blog. Just always be in here with us bro. Last night, since we had no other programme to watch, my wife who is a total lay person as far as music technicalities is concerned, asked me to put something or anything on my laptop. I visited SVOI 2 latest episodr. After hearing the contestants, she said," None of the contestants can sing anything that touches our heart. This tells a lot about general public's feelings. Your info about producer having binding contract is an eye opener. That means Gajji has all the contestant by their tails , correct? you r right Gaj has all the kids in his pocket till the contract is over. listen to this song and let us discuss if these reality shows have brought a voice like that of this great singer. Also, I have seen people singing Lataji, Ashaji, Rafi Saab and KishoreDa's songs in reality showa. Has anybody heard a male singer try Hemant Kumar immortal songs? you are right,gaj has a two year agreement with top 5 CU contestants..in this duration they can't perform publicly without taking permission from our "mahaan" GAJ.and for this gaj charge a hefty amount from the show organizers. what more to say about his drama baazi? ?we all know that..if u want to know more..my close friend arindam is here.